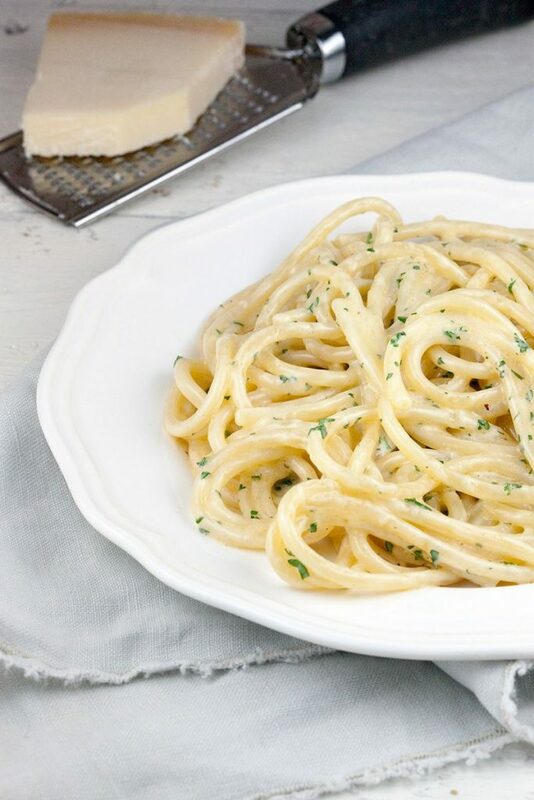 A pasta alfredo is a classic Italian dish. Using only a few ingredients, this pasta can be served in 15 minutes. Serve with a nice salad. FILL the large pan with water, add a pinch of salt and bring to a boil. COOK the pasta according to instructions on the package. 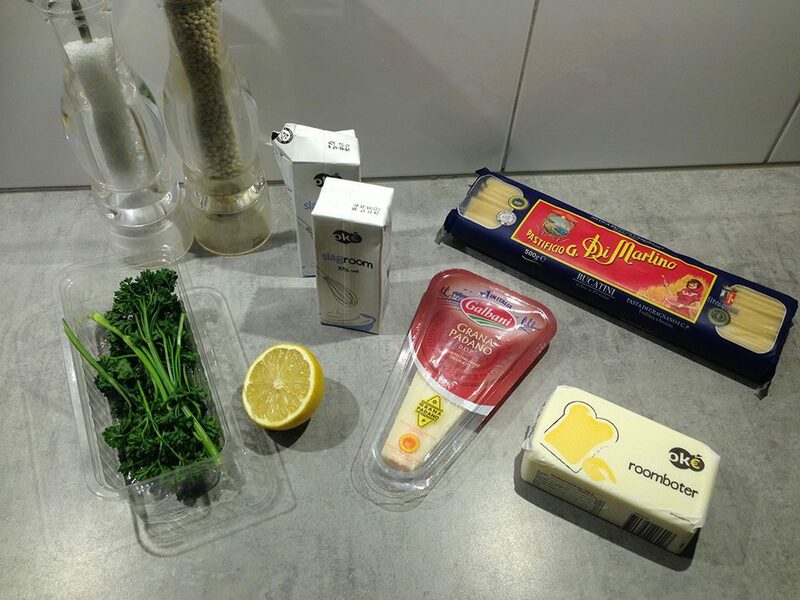 GRATE the cheese and squeeze juice from half a lemon. WASH and dry the parsley, then finely chop it using the chefs knife and cutting board. HEAT up butter and cream in the large skillet on medium-low heat. STIR in juice from 1/2 lemon along with the grated cheese. LET thicken for a few minutes. 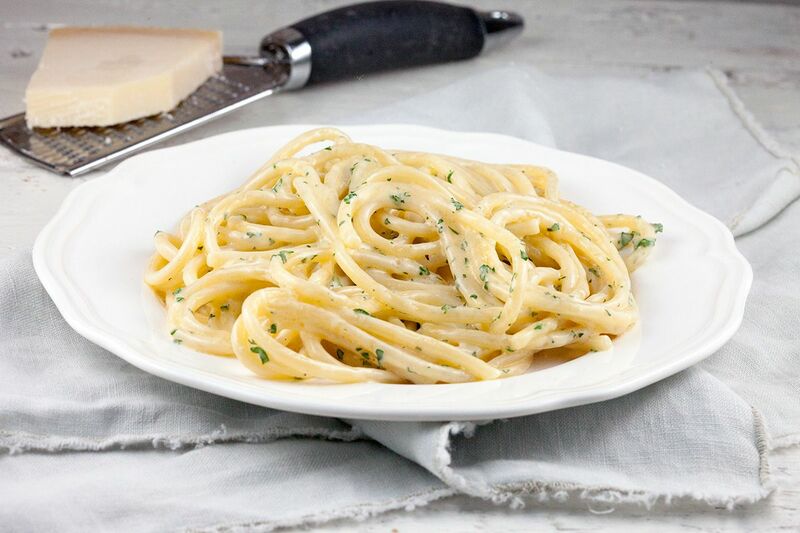 POUR the cooked (al dente) pasta over the alfredo sauce. 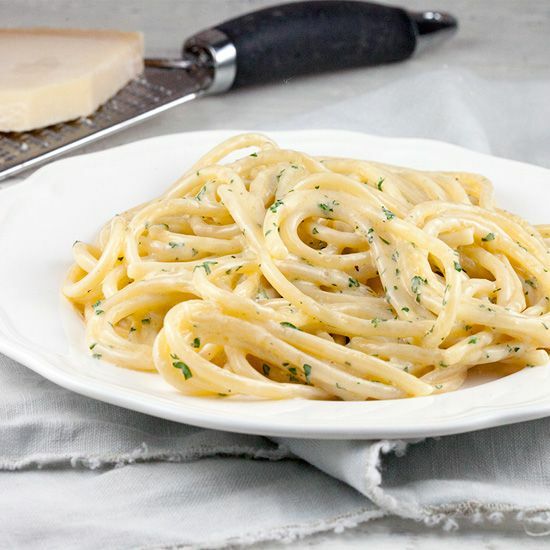 MAKE sure to cover every part of the pasta with the cream sauce. SEASON with salt and pepper, garnish with chopped parsley.